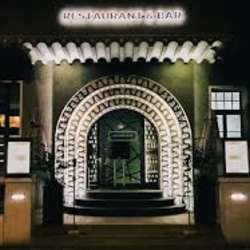 In my opinion here they offer the Best Coctails of Berlin. Very extraordinary and tasty. The young team will provide us with new ideas and perfect service. in the two-time award-winning "Hotel Bar of the Year". On September 10th Protected content got awarded "Most innovative Bar Protected content ! The new motto of their drink menu is 'maximum clarity and concentration'. All 10 drinks are colourless and clear. All drinks are being served in the same glass. Combinations, which challenge our imagination and create curiosity! You can only guess the taste of the drink by the different foodpairing or garnishing. Please ONLY sign in if you are 100% sure you will make it. The last possibility to sign off is 48 hours before event starts. No shows have to leave the group immediately.